/ Home / Alumni and friends / Invenite / Invenite Issue 2 / NATO and a resurgent Russia: towards effective re-engagement? In front of a global audience of 3.2 billion people, Russia took centre stage this summer, hosting a World Cup that exceeded almost all expectations. As a positive projection of its new-found standing in the world, it was a significant PR victory for President Vladimir Putin. Around the same time, the 29 member states of NATO met for their 2018 summit in Brussels, with that very same country at the forefront of their agenda. After two days of talks, its leaders delivered their own positive view of the future, one of unity and resolve, preparing to face down challenges on a number of fronts. It is without doubt one of the most interesting times to be studying the Euro-Atlantic security community and its relationship with Russia. What is clear is that Russia today is resurgent as a ‘Great Power’, and one with whom the West has to come to terms. It is a very different situation to the end of the Cold War, when the Soviet Union was in a dire position economically and politically – and this has major implications for NATO. The grand strategy of the West from the beginning of the Cold War in the late 1940s until the dissolution of the Soviet Union in 1991 was one of containment. However, once the USSR was deemed to be no longer a concern, geopolitical priorities changed, and NATO had a perceived freedom to manoeuvre. Indeed, during the 1990s, NATO adapted to a different scenario. It fought campaigns to stop ethnic conflicts in the Balkans and it undertook to anchor the new democracies of Central and Eastern Europe to the West with a view to fostering a different type of relationship with Russia. 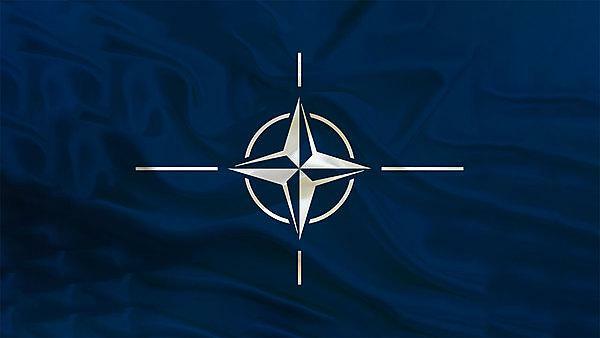 After the terror attacks in New York on 11 September 2001, NATO transformed itself once more by invoking Article 5 of the 1949 North Atlantic Treaty for the first time and it became central in the fight against international terrorism. As NATO took command of the International Security Assistance Force (ISAF) in Afghanistan in 2003, NATO also found a role outside of Europe. Nevertheless, the Russo-Georgian War in 2008 and the more recent annexation of Crimea by Russia in 2014 serve as reminders that NATO still has a role to play in Europe. This leaves NATO the organisation with a strategic quandary – does it return to its roots and seek to contain Russia? And can it do so anyway? Certainly, since 2014, NATO’s position towards Russia has changed, and hints at containment and deterrence. At the Wales Summit that year, it was agreed that member states should spend a minimum of 2 per cent of their Gross Domestic Product (GDP) on defence, something that it maintained in the Warsaw Communiqué in 2016. Alongside that, is the emphasis on improving defences to cyberthreats and attacks. Russia is very capable of conducting hybrid warfare, hitting the critical infrastructure of other countries, so focusing upon military spending is no longer sufficient. Of course, simply setting a new strategic course is not so straightforward for NATO. It is a much bigger organisation than it was during the Cold War. Its 29 member states bring their own preferences to the alliance, and not all perceive Russia in the same way. Countries such as Germany and Italy depend upon Russia for oil and gas; Mediterranean countries face the task of managing increasing migrant flows from war-torn regions in the Middle East and Africa; the UK has to contend both with Brexit and the anger at the Salisbury poisonings for which Russia was blamed. At present, only five members of NATO meet the 2 per cent spending target. Therefore, there are options for NATO but significant divisions persist. The question is, can NATO overcome the latter, when Russia has shown that it is adept at exploiting those European fissures and fault-lines? The European states have to be able to transcend their differences if they are serious about engaging Russia in a different way. All of this happens alongside the inevitable unpredictability of world politics, where we cannot truly say where policies might lead us in 10 or 20 years’ time. It is clear that the West has resented Russian actions in Ukraine as it has excluded Russia from the G8, continues to hit the country with economic sanctions, and mounts a persistent offensive through rhetoric. However, a more prudent way forward could be to find a way for NATO to begin re-engaging with Russia. Since the end of the Cold War, some commentators have repeatedly written off NATO as outmoded and outdated, and one could argue that current concerns are pushing it to the brink of collapse. However, it is still an important forum for consultation, and there is no alternative one for security and defence - not even the EU. As the World Cup showed, Russia is truly resurgent, and demands to be recognised and treated as a Great Power – and that is something the West and NATO must come to grips with. We are right to be concerned about what Russia might do in the future to show the world its resurgence. But we should be equally concerned about how the West handles it.